Are you looking for a different kind of overnight stay for two people? Then you should definitely take a look at the Marina Parcs tiny wagons. 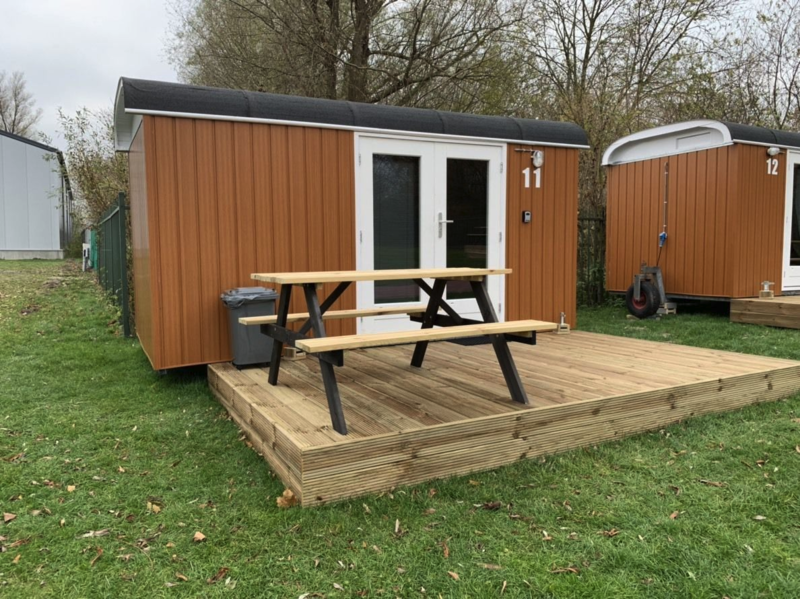 These tiny wagons are former construction sheds, which have been converted to a small, but pragmatically laid out accommodations. 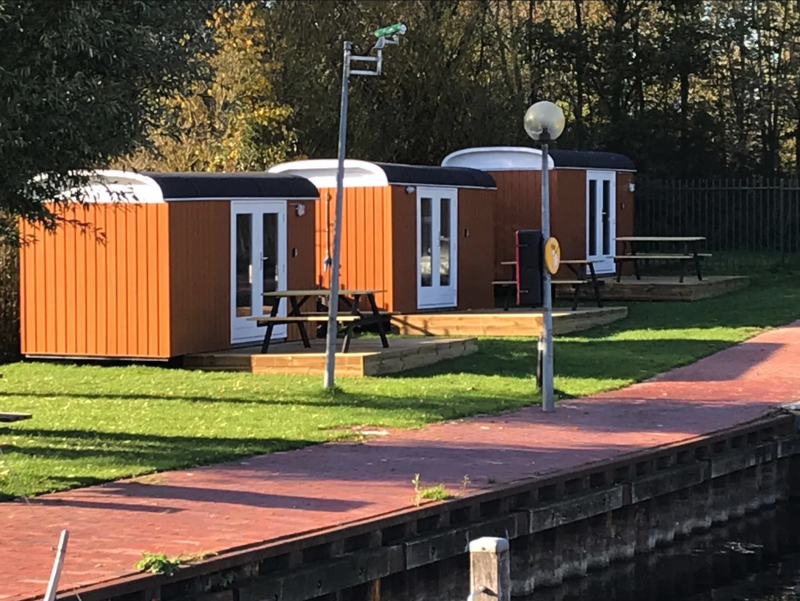 The Marina Parcs tiny wagons can be found at Naarden Marina, and Marina Muiderzand in Almere. If you rent a Marina Parcs tiny wagon, you will always be near the water! These little houses by the water are perfect for a wonderful water sports holiday. Get out onto the water, and take a sailing or kite surfing class, or rent a sloop for a sailing trip across the IJmeer, the Markermeer, or the Gooimeer. Spend time with each other and enjoy the beautiful surroundings! These tiny wagons, which are suitable for two people, can be found on Naarden Marina's inland waterways. These cheerfully painted, two-person tiny wagons, can be found on the catamaran beach at Marina Muiderzand in Almere. Getting back to basics, and fully enjoying the water and the beautiful nature during a stay in a tiny wagon. The tiny wagons are pragmatically furnished. 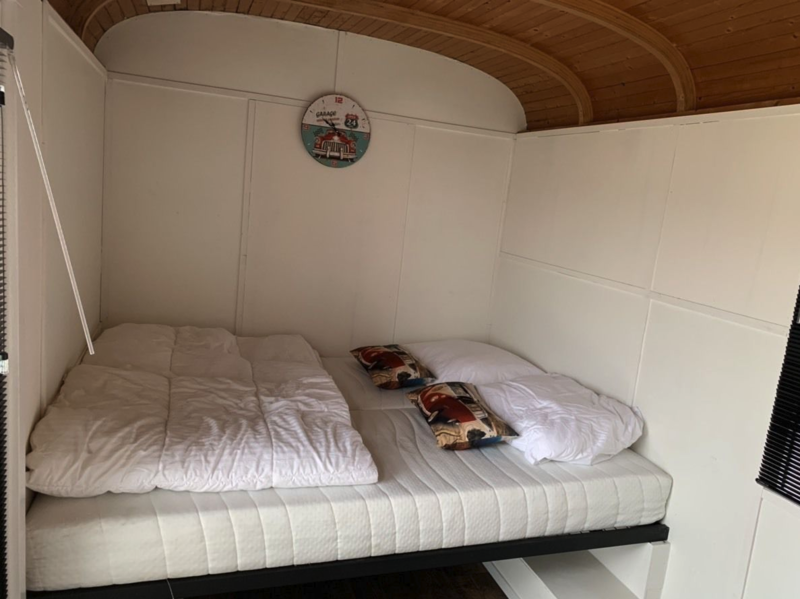 You will be sleeping in a bunk bed or a double bed in the tiny wagon in Almere, and in a double bed in the tiny wagon in Naarden. In the summer, you can enjoy a meal or a refreshing drink at the picnic table on the tiny wagon's terrace. Due to the heating, you can also have a comfortable stay in a tiny wagon in the winter. During your stay in a tiny wagon in Almere or Naarden, you will have access to the shared sanitary facilities. 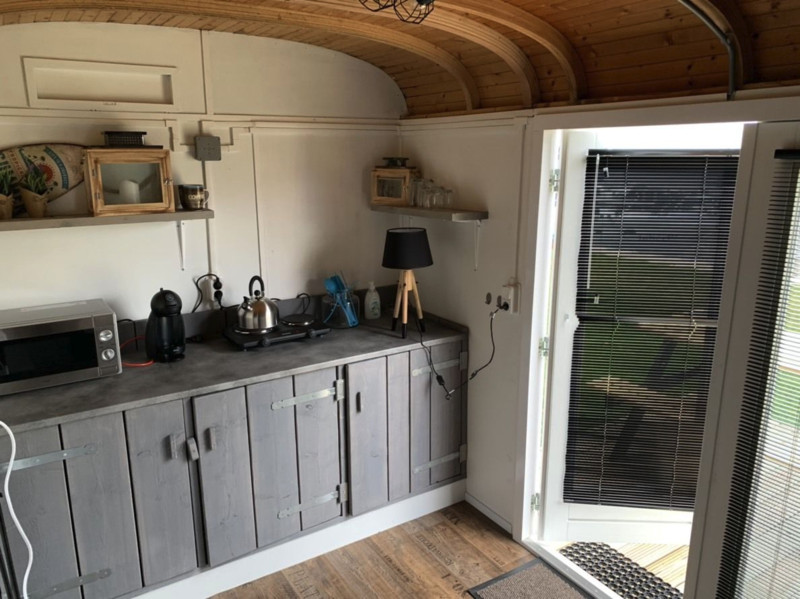 During your stay in one of the cheerfully colored tiny wagons in Almere, you can make coffee or tea in your little house. You can use the shared kitchen to prepare a meal. At the marina, you can rent sleeping bags for €12.50 each, of course you can also bring your own. The tiny wagons in Naarden Marina have a small kitchen with a 2-burner stove, refrigerator, and a coffee maker. Enjoy a pleasant overnight stay in a Marina Parcs tiny wagon. If you choose to rent a tiny wagon in Almere, then you can make use of the facilities at Marina Muiderzand during your stay. From the tiny wagons, you will have a beautiful view of the water, and plenty of opportunities for water sports. You can go for a boat ride, or go swimming or kite surfing. In addition to the many water sports facilities, there are playgrounds for the children, a panna field, laundromat, mini supermarket, and a wonderful restaurant where you can have lunch or dinner. With its 1,200 berths, the marina in Naarden is one of the largest marinas in the Netherlands, meaning it has plenty of facilities. You can buy groceries at the mini supermarket, and you can do your laundry at the laundromat. The children, as well as their parents, can cool off in the natural swimming pool, and after a long, active day, you can have a delicious meal at Restaurant Porterhouse, where the kids can also enjoy themselves at the (water) playground.